A large gathering of seventy-five engaging stories that represent a lifetime of master story-telling and offer keen, loving insights into the mythic origins of the natural and supernatural worlds around and within the reader. Anne M. Dunn (1940) is an Anishinabeg-Ojibwe grandmother story-teller. She was born on the Red Lake Reservation in northern Minnesota, was enrolled at the White Earth Reservation, grew up on the Leech Lake Reservation and resides in Cass Lake. Her books include: "When Beaver Was Very Great," "Grandmother's Gift" and "Winter Thunder." As a young girl, she received many gifts from the wonderful storehouse of oral legends and animal fables of the Ojibwe, especially from her mother, Maefred Vanos Arey, and her grandmother, Frances Vanoss. Like many Native American children, Anne experienced life on reservation land and also lived for a time in Minneapolis. Anne grew up to become a licensed practical nurse, a mother of six, a newspaper reporter, and a professional storyteller. 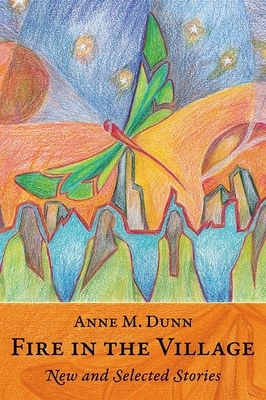 Anne M. Dunn (1940) is an Anishinabeg-Ojibwe grandmother story-teller. She was born on the Red Lake Reservation in northern Minnesota, was enrolled at the White Earth Reservation, grew up on the Leech Lake Reservation and resides in Cass Lake. Her books include: "When Beaver Was Very Great," "Grandmother's Gift" and "Winter Thunder" As a young girl, she received many gifts from the wonderful storehouse of oral legends and animal fables of the Ojibwe, especially from her mother, Maefred Vanos Arey, and her grandmother, Frances Vanoss. Like many Native American children, Anne experienced life on reservation land and also lived for a time in Minneapolis. Anne grew up to become a licensed practical nurse, a mother of six, a newspaper reporter, and a professional storyteller.